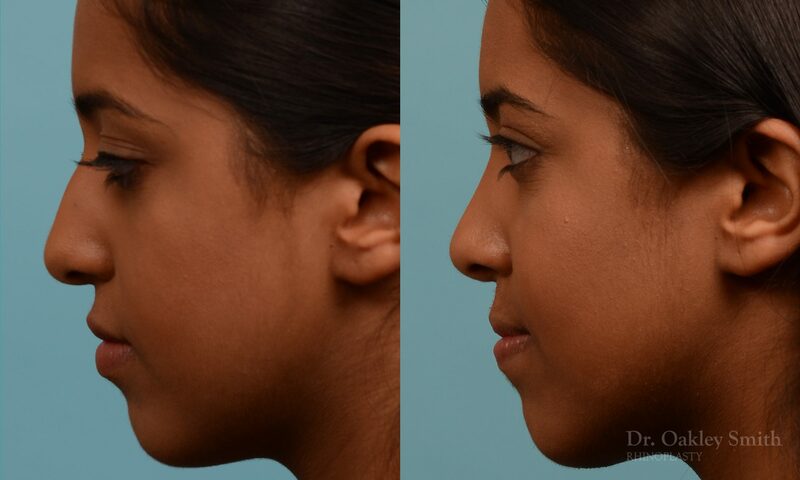 This young girl required rhinoplasty and revision septoplasty as she had broken her nose several years before and had had an unsuccessful septoplasty. Her nasal breathing was poor and she was tired of mouth breathing. Furthermore, she disliked the bent crooked look. 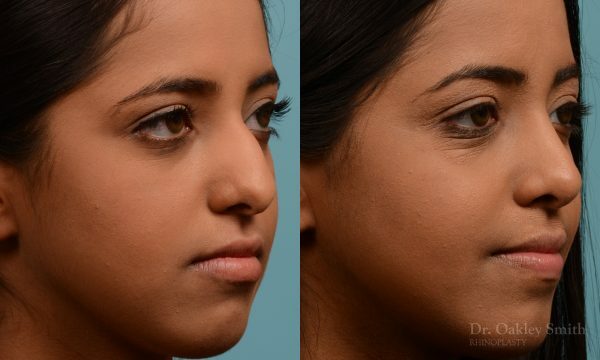 In addition Dr Smith and she discussed minor improvements to the width of her tip and the slight hanging appearance of her columella. Her internal surgery was difficult as her septum was severely twisted. 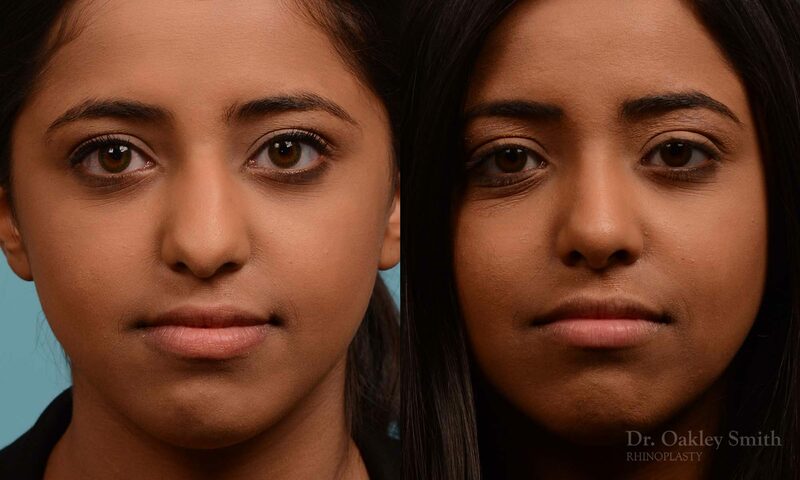 She required an absorbable plastic implant affixed to her septum to maintain it straight. This is absorbed into the skin within a short time. Her nasal bones were deformed and it wasn’t possible to break them without the two bony plates being tilted at different angles. Fortunately her skin is thicker than average and this helped mask this asymmetry. 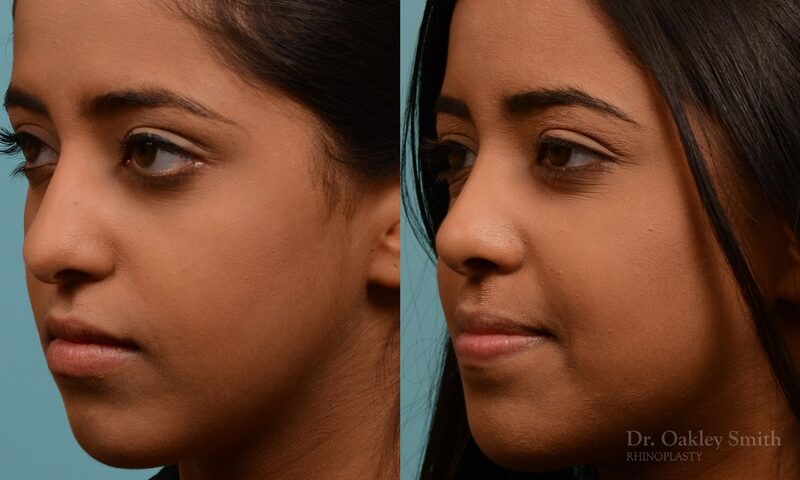 The visual improvements following her rhinoplasty revision septoplasty are good to excellent. The narrowing of her tip is particularly well done. Her nose is straight. This is often only partially improved as crooked noses often have associated abnormal anatomy plus several things are all required to be successful for the nose to appear straight after surgery. If one and certainly two of these surgical maneuvers are only partial successful, unfortunately the nose remains bent. 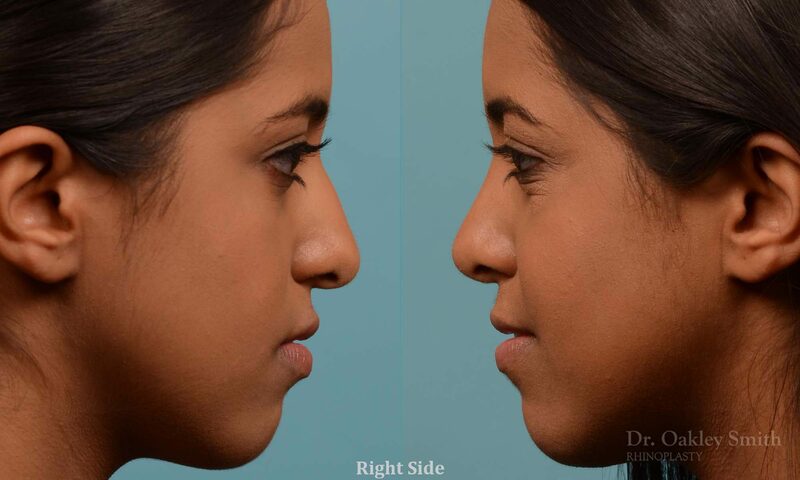 However in the case of this young woman, her nose has been successfully straighten.